iTunes is a powerhouse when it comes to organizing your iPhone media (music, movies, podcasts, audiobooks, etc.) on your Windows PC or Mac. However, the software isn’t perfect and iOS users may experience some issues from time to time. One of such issues is the automatic creation of a folder known as ‘previous iTunes libraries’. What Are Previous iTunes Libraries? The ‘Previous iTunes Libraries’ is a folder located in the Music folder on your computer that contains backup files of your iTunes library. Usually, there is at least one backup of your iTunes library present on your computer, however multiple ‘previous’ versions may be created due to some reasons. Previous iTunes Libraries are created when you upgrade your iTunes software. It’s not the case when there are minor updates, but when you jump from an old version to a new version of iTunes (for example from iTunes 11 to iTunes 12), there may be significant changes in databases that would be incompatible with previous version. That’s why new library is created and the previous one is saved in ‘Previous iTunes Libraries’ folder. While you can delete your previous iTunes library, it is not always recommended. This is because, the folder is created as a backup of your entire library so that you can easily restore it in case there are problems in the update or the new library gets damaged/corrupted. However, as mentioned before these files are merely backups and are not used by the upgraded version of iTunes. If you are on Mac, then navigate to your Home, then select Music folder. You will see Previous iTunes Library folder there. Drag and drop that folder to the Trash, then empty it. 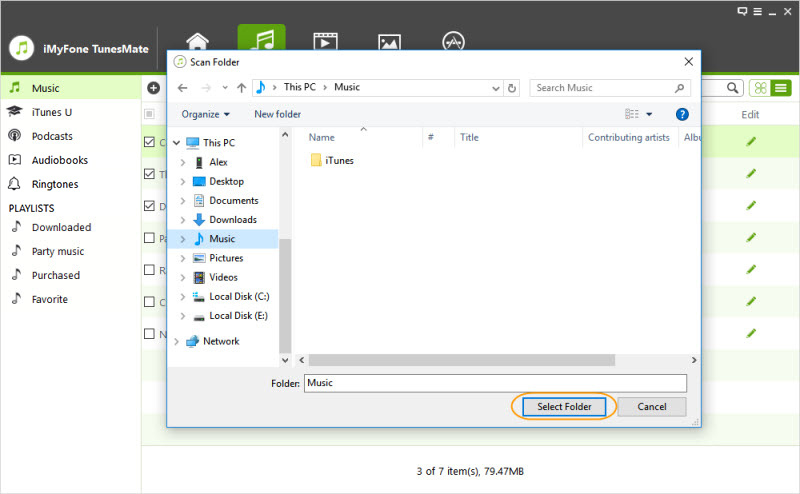 Simply navigate to your Music folder on your computer and find iTunes folder, it will contain several subfolders. Now right click on the Previous iTunes Libraries folder and Delete them. There are many third-party iOS file management and file transfer tools that you can use to avoid all the hassles of iTunes. iMyFone TunesMate is a recommended option. It has received many positive reviews from Getintopc, Geekreply, etc. iMyFone TunesMate is one of the best iPhone file transfer tools available for both Mac and Windows users. You can use it to replace your iTunes software as a primary file transfer and file management tool because it does not require iTunes to work. 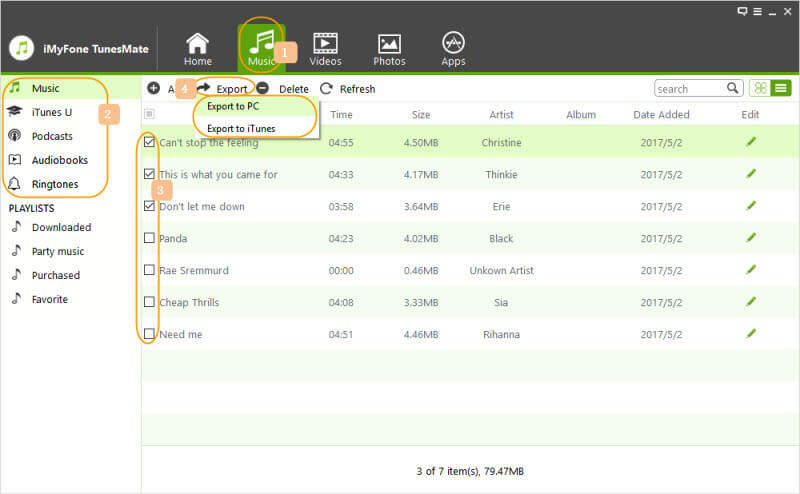 iMyFone TunesMate not only has relatively faster file transfer capabilities, but also offers tons of useful features. File transfer support for more than 10 types of files. Faster transfer speeds than iTunes. 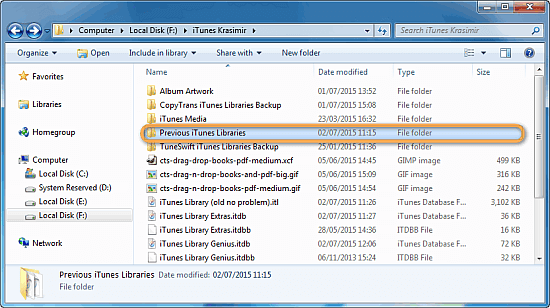 No need to launch iTunes to transfer iPhone media files. No crashes or other errors which iTunes is notorious for. Backup and restore options, including backup music option so that you can create your own personal music library and restore it easily whenever needed. Step 1: Connect your iPhone to your computer via USB cable and launch iMyFone TunesMate. Step 2: Once your iPhone is recognized by the software, click on Music tab and then select the music files you wish to back up. Step 3: After the selection, use Export>Export to PC option available at the top and then select desired folder for your backup files. Your backup process will start and all your selected music files will be copied to your computer’s hard disk. iPhone Not Showing in iTunes: Regardless of how perfectly the iTunes software has been installed, you may face this issue. There may be various glitches that may be preventing your iPhone from showing up in iTunes and fixing this problem can be a real hassle. System Hogging: iTunes is resource-intensive software that takes relatively more resources as compared to most other programs. You can use a third-party tool (such as iMyFone TunesMate) to tackle this issue as they take a lot less system resources to operate. A Hassle to Use: There are no 1-Click operations or solutions in iTunes so performing even the most basic tasks may be a hassle for new iOS users. Music Files Duplication Issue: Many iOS users have reported duplicated music files issue with the new version of iTunes. While there is a way to prevent this via iTunes itself, it is not a permanent solution as every time your files are synced there is a probability that the issue will reappear.